Hi, any recommendation for speakers below RM4000? mostly listen to vocal and pop. New or vintage? For vocal, Harbeth is almost superb for vocal but very pricey, used units barely sold below 4k. For vintage, JBL, Klipsch, Altec and the like, if could be found, would blow many modern speakers out of the water and then some. Within the past two years I have bought Klipsch KG4 (rm1200) and JBL L110 (rm3500), both more than 30 years in age, no modern speakers in their price ranges can come close in SQ, will never sell them away! Synergy and room size are also very important. Perhaps share the rest of your equipment chain so the more experienced members here can chime in. 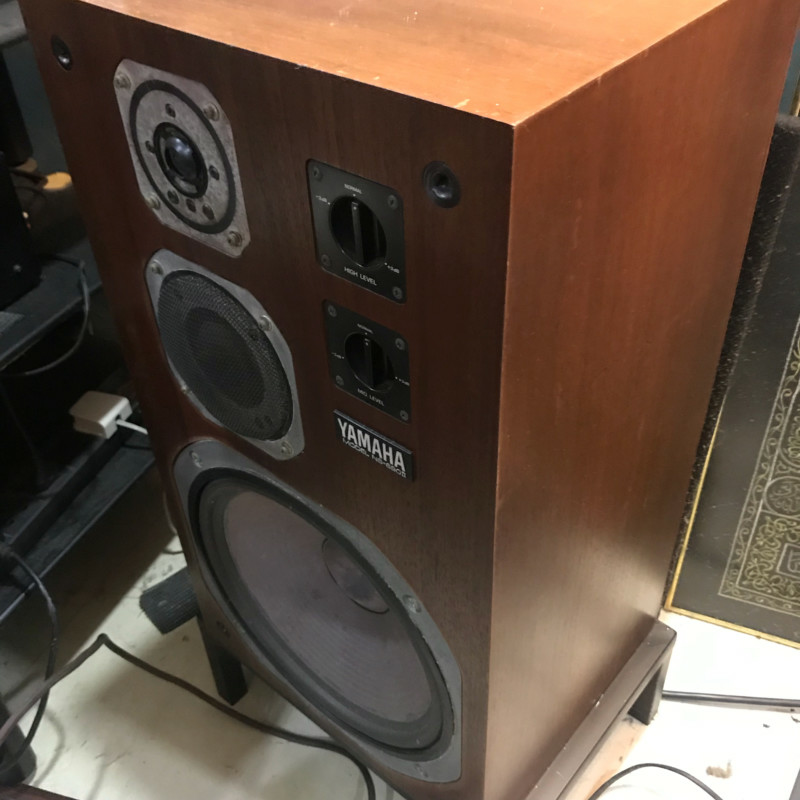 Purely based on your criteria of pricing alone, for bookshelves you can consider used speakers such as the Proac Tablette series, KEF LS50, Sonus Faber Concerto. Looking for bookshelf speaker and using EL34 tubeamp. Try the Proac Ref 8 or Ref 8 Signature if you can find a pair. What is the price range for a used unit? Hi, I sold my pristine pair of ref 8 sigs for rm4.2k maybe less than a year back. Not sure what the price level is now. Ref 8 should be a bit cheaper. Hi, you can check out our custom build speaker as well. Opera wrote: Looking for bookshelf speaker and using EL34 tubeamp. I would second Anwar's recommendation. When you have limited budget, you don't want to buy a product which is made in an expensive country, i.e. Harbeth speakers are made in UK whereas KEF LS50 is designed in UK and made in China but with good quality control. That's why the KEF LS50 is a steal and rated Stereophile Class A speaker, but it needs good amplifier. But I think in Malaysia, Harbeth is priced very low. If both speakers are within your budget, go and listen to them, then select one you like. Would you consider the new B&W 606? 606 speaker in the new 600 Series from Bowers & Wilkins allows you to transform your space with pristine sound. Featuring Continuum cone technology, developed for our award-winning 800 Series Diamond, it creates a pure and precise soundscape for you to enjoy. Developed over an eight-year period and first featured on our flagship 800 Series Diamond models, the Continuum cone has been integrated into the sixth generation of the critically acclaimed 600 Series. "They're upbeat and energetic, deliver punchy, solid bass and offer class-leading levels of details and dynamics." - WHAT HI-FI? Audition is available at B&W Showroom Lot S-207, 2nd Floor, The Gardens Midvalley City. Please drop by and have a listen. Thank you. IMHO please not another Harbeth recommendation. I owned nearly every Harbeth model even the monitor models bar the 3 way models - just too big. And that was more than 10 years ago. In my opinion, Harbeth speakers had a ‘tailored’ sound (depressed mids) and they still stick to metal tweeters that are peaky. The bass was diificult to control unless you had an amp that had high damping properties. Speaker technology has moved on and don’t refer nor remain with legacy brands. Try any modern brand like Elac or Monitor Audio for example - there are lots of brands to try - make sure they are easy to drive and have good imaging properties. As for metal dome tweeters, the highly acclaimed KEF LS50 is using metal dome tweeter la. There are still top brands using it. Metal or fabric, what matters is the design of the speaker and the implementation of technology. To quote a reknowned website. The Harbeth is not a legacy brand. It’s still very relevant today. Recent reviews, over the last couple of years, still rate them highly. But they are not the be all and end all for speakers. Hehe, I knew my post would result in a response from die hard Harbeth fans. My apologies. The latest trends for speakers are hugely improved crossover components (poly caps, air cored inductors, high precision resistors, etc), rigid cabinets (not thin wall bbc type cabinets), narrower front profile cabinets and decoupled drive units. Even the stands matter - try putting your bookshelf speakers on a pair of q acoustics concept 20 stands and listen. Beg, borrow or steal a pair of those stands - they are worth it. The current trend now are copper shorting rings on speaker drivers (woofer and tweeters) to reduce eddy currents in the electromagnetic circuit - look for it. Any other speaker boasting other than the above is really fiddling about with old technology and cheating the public IMO and where does that leave Harbeth? I could go on but that would take a whole page. I am using a pair of JBL 4312m mk2 mini monitors. As usual with most JBL speakers, they use their very own titanium tweeter which is well designed and implemented. I have tried several speakers over the years such as quad 12, atc scm 11, proac tab 3 and a brief home demo on harbeth p3es. I find that the JBL is not bad. These speakers are specifically built for the Japanese market and I guess there is something to it. You may want to find out how Japanese appreciate their music. Your JBL dun talk la. Those are really nice speakers. I would love a set if I had the space. They got that satu macam sound which is nice if one appreciates it. The P3ESR will not be able to match your JBLs, if want to go near it will need a sub at the very least. Match them with a SET amp and I’m sure it will be very sweet sounding. Yeah the OP might have bought his speakers by now, but since this post is still live, so why not? No body mentioned Spendor, but this is really a hidden gem. I bought Spendor SP1/2 used last year. Before that I thought Harbeth is the only UK speaker brand worth going to, but, I had a chance to listen to P3ESR and C7es3, and Spendor SP1/2 in the same house, using all the same set up, including cables and the stands. The space is a dedicated listening room, with proper sound treatment, power amp used were McIntosh MC30 mono blocs. While the Harbeths as usual present excellent mids, the Spendors came out to be the most comfortable pair to me, and I bought them right away. "Thick wall – I mean really thick – is a dead materia. Impossible to move. But the energy of the resonance peaks still exists and wants to shake something. Anything. The only area what can be vibrated now is the driver’s membrane – should I explain the wrong effects? " 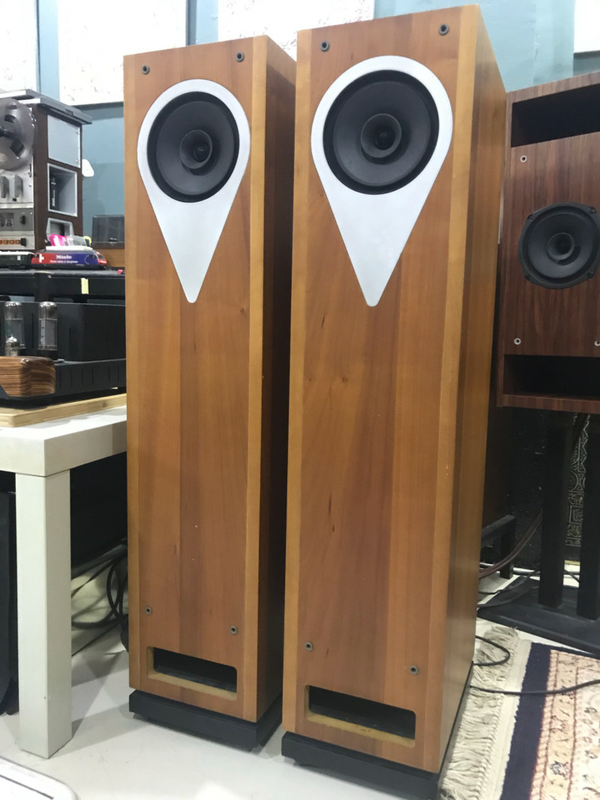 I still like my Klipsch and JBLs, but it is the Spendor that stole my heart for the past two years. Those who haven't really heard Spendor (any model, but especially those classic ones), at least should audition once before making a quick verdict.